After sleeping to the orchestra sounds of croaking frogs all night, I woke up feeling refreshed. Around mid-morning, I headed out for a meditation walk. Walking meditation is slower than regular walking. And after all, I had nowhere to be, and was in no hurry to get anywhere. I found some lichen, and slowly walked amongst the swordferns, cedars, and mossy big leaf maples. I went back to the yurt for lunch. After lunch, I went over to the Grand Forest and hiked around (That is what it’s called. Seriously. It’s truly Grand.) It was kind of a surprise. I had not heard of this forest, and I just happened upon this amazing treasure. While in the forest, I listened to the sounds of the forest floor, the earth and creatures slowly churning and growing. The forest floor is rich with diversity and complexity, it’s where nutrients that sustain the forest are created, so it is very nourishing. In every sound, texture, color and movement, the world at the roots of every tree is teeming with a quiet activity. The spirit of the forest is both exciting, mysterious, and soothing all at once. I gathered some small treasures to add to the altar I had set up with the tarot cards on a small table. All the earth and elemental energies, guides and ancestors were called upon to witness and assit with the ceremony. 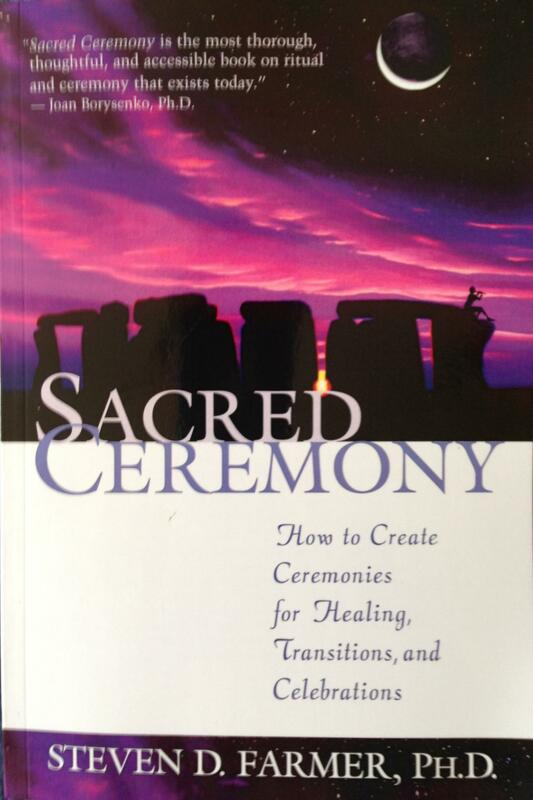 I used the book “Sacred Ceremony” by Steven Farmer to help with creation of the ceremony. After the ceremony, I ate some maple smoked salmon, and then fell asleep to the sweet songs of the croaking frog orchestra.